Our Childcare Centre is approved for the Childcare Subsidy (CCS) 2019! All our Childcare programs are planned according to children's interests, including group story and song sessions. ​Our 2019 brochure is available for download here. Family Grouping Care is care that is available to children from six months to five years of age. Children from the same family can attend sessions together. This is a great session for younger children to have an opportunity to learn and play with older children. 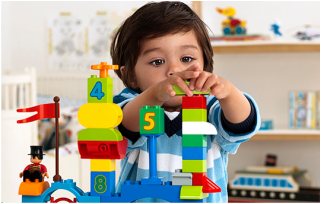 Pre-kinder care is available for children aged two to four years. These sessions are similar to a three year old pre-school program but children can attend from two years of age. There are three members on staff and parent participation isn't mandatory, but is always welcome! ﻿This is a play based group. The program provides a great introduction to and preparation for, readiness for four year old kindergarten. Our aim is to enhance the development of social skills, co-ordination, language development, cognitive and fine motor skills, all of which are essential preparation for kindergarten and school readiness. Three Year Old Activity Group is a play based group and provides a great introduction to and preparation for, readiness for four year old kindergarten. These sessions also include a Jolly Phonics segment which introduces children to letter sounds through phonics, stories and songs. Our aim is to enhance the development of social skills, co-ordination, language development, cognitive and fine motor skills, all of which are essential preparation for kindergarten and school readiness. There are three members on staff and parent participation isn't mandatory, but is always welcome! Children must be toilet trained to attend this program​. Occasional care is available for children as one off sessions while parents attend appointments or take some time out. This is provided in three or five hour blocks and is available for children aged from six months to six years depending on the session. Please refer to the session times for each specific age group. Bookings are subject to availability and cost is $12 per hour. 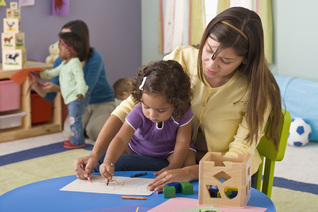 The childcare centre operates a waiting list for the Family Grouping Care, Pre-Kinder, and Three Year Old Activity Group programs. Pl​ease complete our "Expression of Interest" Form to have your child's name added to the waiting list. The Childcare Coordinator can be contacted by email at tammyr@chelt.com.au or by phone on 9583 0095. Cheltenham Community Centre operates a 26 place childcare centre. We provide a Limited Hours Type 2 service. Children can attend the Centre for a maximum of five hours a day and 15 hours a week. The staff to child ratio is 1:5 for under three year olds and 1:15 for children of three and over. All our qualified staff have a minimum of a Diploma in Children's Services and all our childcare assistants either have, or are studying towards, their Certificate III in Children's Services. All staff are Level 2 First Aid trained and are trained in anaphylaxis and asthma management. All programs are planned according to children's interests, including group story and song sessions.